HELA Governor Anderson Agiru has moved a motion for Parliament to reinforce articles 19 and 21 of the Constitution to declare PNG a Christian country. 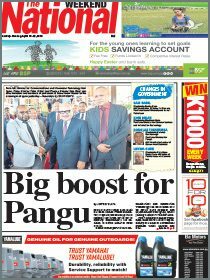 Agiru said PNG had to reaffirm its commitment and set the spiritual journey where the nation wanted it to be in 20 years. 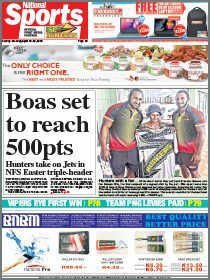 He said the constitutional fathers decided that PNG should be a Christian country after much consultation, including travels around the world and that is now enshrined in the Constitution. Agiru said the spiritual journey of the country was important in how PNG had to move in terms of its relationship with its neighbours. However, he said foreign religions were coming into the country and destroying the way the people thought and believed. He said these religions were also destroying people’s cultures. “As a son of a former pastor, I must admit my faith and that I believe in God the Trinity,” Agiru said. “The part we choose should be Christianity and that should be the work of the 9th Parliament to write that chapter,” Agiru said. Community Development Minister and Lae MP Loujaya Toni said earlier other religions with different thinking and beliefs were flooding the country. She said a national churches forum was conducted while four other regional conferences would be held before recommendations and report were tabled in Parliament. Western Governor Ati Wabiro said the State should foster relationships and declare an alliance with Israel in order for it to show true Christian growth.